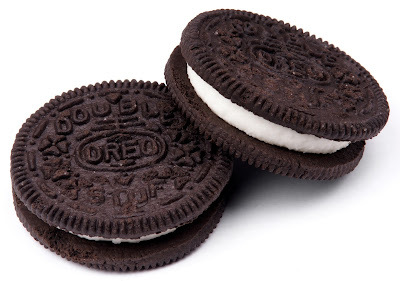 Weighty Matters: Are Oreos as Addictive as Cocaine, or is Cocaine as Addictive as Oreos? Are Oreos as Addictive as Cocaine, or is Cocaine as Addictive as Oreos? In case you hadn't heard, rats like Oreo cookies. How much do they like them? I'm not sure anyone will ever really be able to quantify that, but that didn't stop a recent press release that highlighted a study that looked at, not whether or not Oreos are addictive, but rather how long rats who had enjoyed Oreos on a particular side of a maze spent on that same side when Oreos weren't there, from concluding that Oreos are at least as addictive as cocaine. Results wise, not even remotely surprisingly, rats lingered on the Oreo side of the maze longer than they did on the rice cake side of the maze. Apparently they lingered on the Oreo side for just as long as they did when the conditions were changed to include a shot of cocaine or morphine vs. a shot of saline. Researchers went one step further and after harvesting the rats' brains they measured how much of a particular protein (c-Fos) was being expressed in the rats' brains' pleasure centres in both the Oreo condition and the cocaine condition. Turns out rat brains' reward centres respond to Oreos. Turns out too that the media like stories that suggest junk food is more or similarly addictive to cocaine. I find these stories frustrating. Putting aside any concerns with experimental methodologies, if our pleasures centres didn't light up like Christmas trees when faced with sugars and fats then I'm pretty sure there wouldn't be over 7 billion of us walking the planet, because up until only about a millisecond or so in the grand scheme of time, those who were more driven to eat were the only ones who survived. To put this another way, the fact that energy dense foods are neurochemically rewarding is anything but surprising when considering the hundreds of millions of years of dietary insecurity that have seared and forged our physiology. So what's fascinating to me isn't the fact that Oreos light up the parts of our brains that enjoy cocaine, but rather that cocaine lights up those parts of our brains that enjoy Oreos.